At Fat Joe, we love the idea of Infographics. We believe they should be part of any content marketing and SEO campaign. If they look good, have great info, and have the right promotion strategy, a single infographic can do wonders for your brand, traffic and sales. 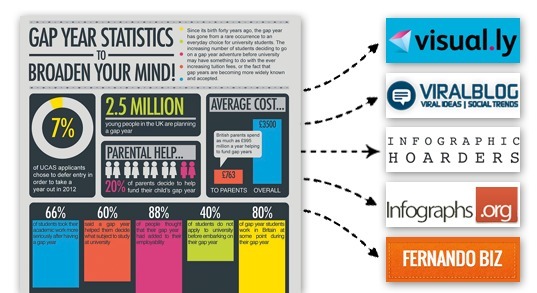 What are the benefits of Infographic Marketing? What should your Infographic be about? Infographics are nothing new. In fact, they date back waaaaaaay before the internet, the 1600’s to be precise. Online Infographics these days are designed to be shared and create a viral buzz. I’m guessing nearly everybody on the planet has seen an infographic in one form or another. An Infographic is simply ‘visualisation of data’, also known as ‘data visualisation’. They provide an easy way to digest an otherwise overwhelming plethora of data. Imaginatively designed to be easily digested and shareable, some Infographics may be quirky and fun, others interesting and revealing. Whatever the purpose of the Infographic, they all should do one thing well, and that is display data or information in a visual way. 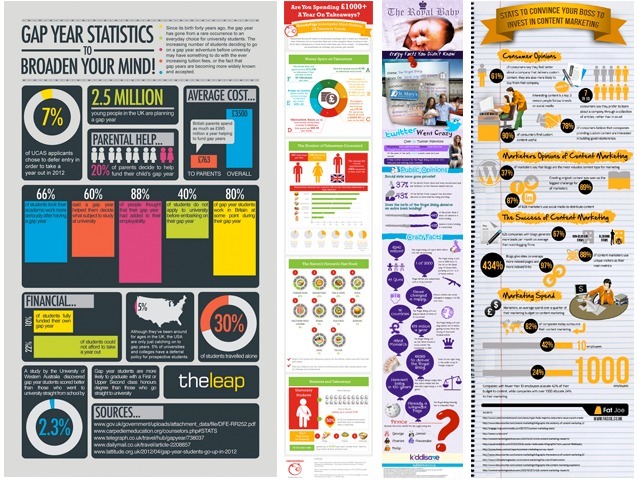 Just incase you were still wondering what an Infographic is, here are some examples from our portfolio. Infographics can generate awareness for your products and services. When you create and share interesting Infographics, people become more familiar with you, and your brand. Infographics can make you more deserving of authority in your niche. If you create and share a brilliant infographic about stats/info/data in your niche, it will get shared around and propel you as an authority. Infographics can cause a surge of traffic to your website, especially to the page where you published your Infographic. Whilst a lot of this traffic may not be ‘buyer’ traffic, it can still lead to engagement (sign ups, brochure download etc.) or at the very least, a reinforced memory of your brand and what you do. Who doesn’t love more traffic? Let’s not get ahead of ourselves here. Infographics probably won’t directly generate sales, but as with all content marketing the idea is to build rapport with potential customers by delivering interesting, exceptional content. As we all should know from ‘Marketing 101’ the more a person is exposed to your content, the more likely they are to buy. Rand from Moz claims they have measured that it takes 7 and a half visits before a person signs up for a free trial, which results in revenue of course. Old school SEO’s seem to love Infographics too. Why? Because they generate links. In fact an Infographic campaign executed correctly can be the perfect blend of link building and content marketing. 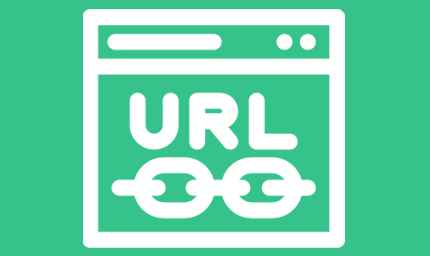 As well as being able to proactively build links yourself by submitting the Infographic to relevant directories and Infographic hosting sites, a great Infographic will generate links naturally. Some of you may remember MoneySupermarket’s fantastic Batman Infographic. This generated them 94 links and counting! Most old school business owners will be puzzled at the notion of investing in something non promotional. Naturally, an Infographic should sell…. right? Of course, I’m being sarcastic, but this is a real challenge that marketing teams have to deal with. Your Infographic should be non-promotional, else it won’t be shareable… No one wants to share a sales pitch. Your goal with an Infographic is not to sell, but to create a lasting impression of your brand, and the urge to share. 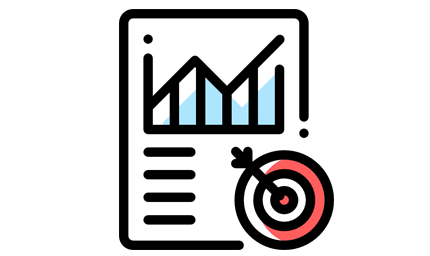 It would be advisable to keep the Infographic topic based on facts/stats/info in your niche (just because that makes the most sense…), but it can be about anything interesting to your market at all. You should start with a brainstorming session. Get your team together and think of a topic that could potentially make a great Infographic. For example, if you were a pushchair supplier, you could capitalise on the royal baby birth. If you were a content marketing company, you could do an Infographic on convincing content marketing stats. Check that your ideas are original. You can see from above that a simple brainstorming session can lead into some pretty solid ideas. I did the above off the cuff honest. For every potential Infographic idea, you will have to think of how you are going to collect the data to visualise. 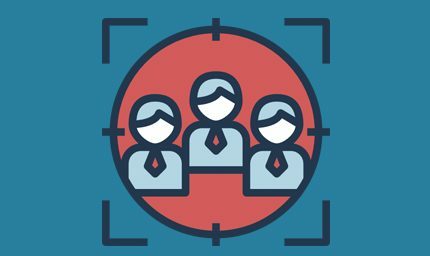 It could be that you can find the data in the public domain or that you are going to have to go out and collect the data yourself through surveys, etc. Once you have the data and info you need, you’ll have to present this to a designer so that they can make it come alive! …and please don’t just hand them a spreadsheet full of numbers. Designers hate spreadsheets! Hand them a solid brief. Here’s an example template we use. Make It Clear: Infographic designs should be crisp and clear. Show, don’t tell! Infographics shouldn’t be word heavy; they should be more about the imagery. Icons & Images: Use nice looking icons and images to further illustrate points. Graphic River has some great vectors you can buy. Typography: Use clear stand out typography. Ensure fonts are clear and easy to read. Tell a Story: Treat each Infographic in a similar way you would when writing a blog post or story. There should be a starting point and end point. Colour Scheme: Make sure the Infographic is designed with an attractive set of colours, it usually makes sense to give the infographic a similar branding to the main site. Shameful plug: We offer an awesome infographic design service if you don’t have the expertise. Submit your Infographic to Infographic directories and hosting sites. 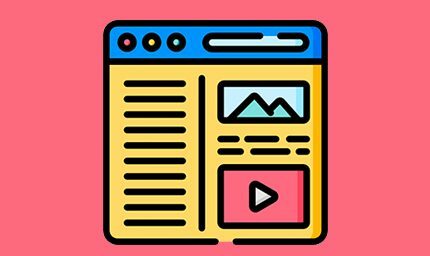 This not only gives you a link back (sometimes instantly), but it’s a place where publishers can find Infographics related to their content and place on their site, resulting in more links back and more virality. Bloggers will be thankful of some great useful content they can post on their blog (for free). If it’s related to their niche, you can expect a decent acceptance rate, resulting in lots of natural links. Shameful plug: We can help submit and promote your infographic here if you don’t have time. First come up with a great concept, one that tells a great story and one that’s related to your niche. If it’s a popular topic, you’ll find lots of info in the public domain. Google will be your friend here. You may want to collect your own research with surveys etc. Create a clear design structure that tells a story. A great designer who can make great use of colour, typography and imagery will finish it off nicely. Submit your Infographic to Infographic directories and reach out to other bloggers in your industry. A good social campaign may help you get the traction you deserve. An infographic can be used for both a content marketing campaign and used to leverage a link building strategy which will help serve as a link magnet as well as a brand beacon for years to come. Why not start brainstorming ideas for your Infographic campaign today?